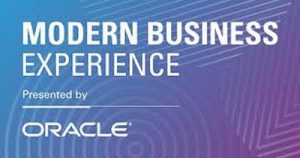 The Supply Chain Matters blog in the presence of independent supply chain management and B2B industry analyst and Editor Bob Ferrari, is attending the Oracle Modern Business Experience (MBX) in Las Vegas. 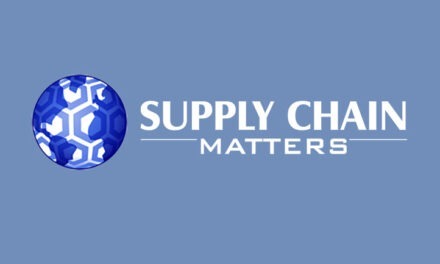 For the past several years, Oracle has sponsored an annual conference dedicated to supply chain management which was the Modern Supply Chain Management Experience 2019 (MSCE) conference which we have consistently attended in prior years. This year, rather than conducting separate events related to different business and functional audiences, Oracle made the decision to create a broader applications community conference that reflects more of a sense of integrated systems needs across business areas or departments. In our previous Part One commentary, we highlighted a product announcement made in conjunction with MBX. In this commentary, we focus on the conference themes. In this update, we explore the overall MBX goals and messaging themes. One of the first questions is why change previous formats of separate conferences and associated attendees dedicated to areas of ERP, HCM and SCM? The obvious initial response from some readers is saving on overall product marketing and event costs. That could be true. But a consistent theme that pervades speaker podiums and hallway networking conversations is the opportunity to bring cross-functional or cross-business teams to a single conference to assess Cloud-based adoption, what it implies in business benefits and in a common venue where teams can assess what they all heard. If teams embrace the notion that digital transformation with Cloud-based technology adoption is the basis of a far different business model, then teams likely need a common context. Attendees we spoke with were willing to put up more crowded corridors and meeting rooms in order to be able to share collective impressions of what is means to have cross-functional and business digital transformation and Cloud based processes. Further, talking directly with different companies and businesses who are on the journey helps in determining what to expect. Let’s be candid. Like other enterprise and Cloud-based technology providers, Oracle needs to accelerate the movement of traditional license-based companies to the Cloud platform. Thus, a lot of emphasis of the 2019 MBX sessions feature Cloud based adopters speaking about their business needs, journey and acquired learning along the way. Oracle speakers are reinforcing the existence of customer success managers assigned to each implementation while customers who have made their transition are speaking to what was the response when implementations ran into speed bumps or obstacles. Steve Miranda, SVP of Applications Strategy expressed all of the collective emphasis as building the confidence in a customer’s ability to migrate from on-premise to the Cloud. A second consistent theme is Oracle’s messaging on improved usability, whether that is the ability to leverage conversational bots, aka Alexa– tell me how interactions leveraging Oracle Assistant, or a changed experience that moves from “input and validate’ of existing information to “push and predict” likely scenarios and insights based on end-to-end information. The third theme reflects on the now continuous quarterly releases of new Cloud based functionality and the continued rounding out of application areas. In the specific area of Oracle Cloud SCM, that includes expected support of services-based supply chains, including Healthcare, added support for process-based manufacturing or a combination of a process and discrete based manufacturing and supply chain process. Once more, the process integration among Cloud ERP, Cloud SCM and Cloud CX in process and decision-making needs are becoming more integrated which each quarterly release. This Editor’s sense is that all three themes indeed were prevalent and exchanged consistently. A final impression related to this update is the amount of corridor, meal and networking event conversational exchanges from customers that reflected on the crucial importance of change management practices in advanced technology adoption. There are businesses, large and small, that still rely on legacy systems, some with the infamous “green screens.” Or systems that were installed in the Y2K era. Such systems need to be upgraded and the message is clear and unwavering, change management, in people, process and technology dimensions has to be a crucial part of the Cloud migration boilerplate. No argument there. Stay tuned to the Supply Chain Matters blog for additional highlights of this week’s Oracle MBX conference.